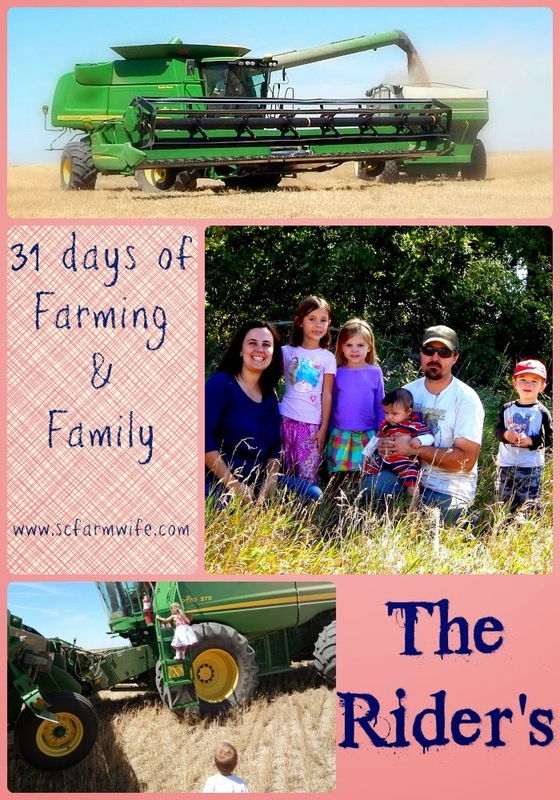 Welcome to day 13 of 31 days of Farming and Family. Today we are visiting another Kansas farm family! Reading this family story reminded me of why I wanted to do this series...each farm family is reaching for the same goal...to produce food for their family and yours but how we get to that goal may look different. You see we are mainly a livestock farm so we rely on folks like the Riders to supply grain for our animals to eat. 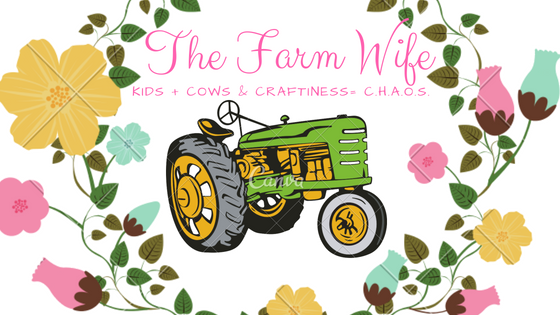 So let's learn a little more about this family farm! We are the Rider family from Ness County KS. Tyler's Maternal Great Grandparents started farming in Ness County in 1922. His grandfather expanded the operation. Right now Tyler farms with his father as well as his brother. Right now our farm produces mainly wheat but also have some land in grain sorghum. We also run about 450 feeder cattle. June is the busiest time on our farm, and ironically the same month two of our kids were born. Besides wheat harvest which is the busiest time of year, we are also planting milo and Tyler inspects wheat fields for Kansas Crop Improvement Assoc. The younger generations have always had a big part in the farm. Tyler and his brother always had the opportunities to help and to learn how to run the farm as they were growing up. Now Tyler and his brother do most of the day to day work. Besides being busy on the farm, we are very active in our Church. We help in the nursury, Children's Church and Tyler helps with the Bible Clubs the kids attend. Tyler serves as Treasurer for the Walnut Creek Extension District, and Treasurer for the Kansas Ag Research Association. Becky serves as woman's chair for the county Farm Bureau, and on the state committee for Membership and Promotions. Becky helps with the local 4H club. and also homeschools the children. Harvest time is the most exciting time for us as a family. Its long hours but the kids enjoy helping prepare meals for the field, riding in grain cart with their grandfather, or in the combine with their dad. They will get to do more on the farm as they get older. Family has always been a big part of our farm. There have been a few employees but most of the labor has been family, as it is right now. And there is extended family farming next to ours which we having a great relationship and we help each other when needed. Farmers get their food from the same stores as everyone else, unless they produce some of it themselves. Therefore, they want to produce safe and healthy food by applying nutrients and crop protection products only when and where they are needed. e each have facebook accounts, but main farm related social media is an occasional tweet from @tyrider65. Thanks again to the Rider family for sharing their farm story! If you have questions or comments be sure to leave them below or follow the Rider's on Twitter! Until we meet again may God bless you and keep you!